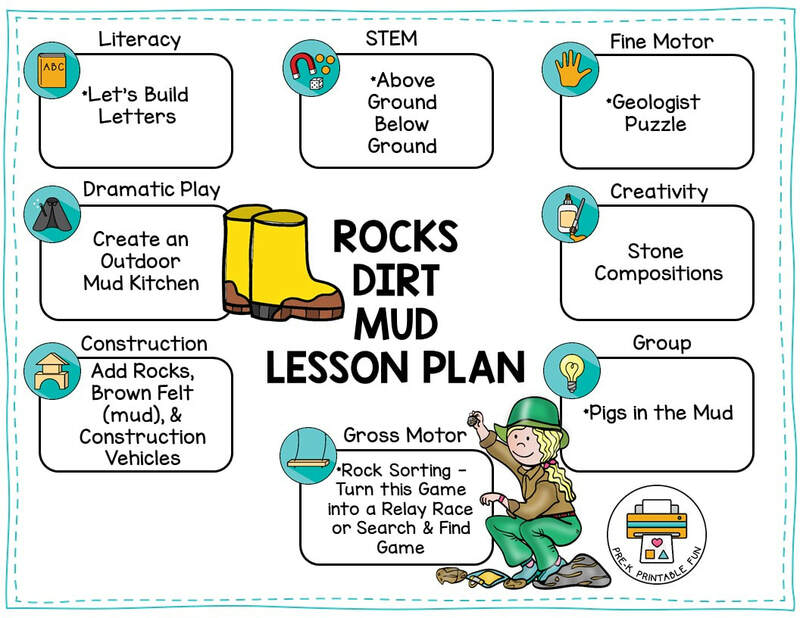 The kids will need an extra set of clothes this week, as we plan to explore Rocks, Dirt, and Mud. Join the Pre-K Printables Club to get access to all of my related printable activities. This week we are going to take our Dramatic Play Outside and Create a Space for a Mud Kitchen. Gather old pots & pans, Strainers, Cupcake Pans, Cake Pans, and a variety of kitchen utensils. Check out this related post to see a fabulous collection of Mud Kitchens from our Facebook Community. Add Rocks, and Felt "Mud" to the Construction Space this week. Add a Variety of Construction Vehicles in the space as well. Inspiration from around the Web! Get Outside and Search for Rocks, and Play in Mud! Create a place to explore rocks: Add Magnifying glasses, and plenty of specimens. Include Books, and Magazines about Rocks. Pudding Paint from Crystal & Co.
Story Stones created by Daycare Spaces member Julia Hall (and her Daughter) of Tractors and Tulips Day Care.